Great advice for keeping the peace at family gatherings and a generally accepted principle for most corporate social media marketing plans. Is it ever safe to break that rule? An important component to your brand is its differentiator – that thing that makes you different from your competition. That differentiator could very well be your stand on a controversial political issue. Consider this year’s presidential race, in which each candidate took a political stance and drove it hard on social media, with no concern about offending those who disagreed. The goal was not to appeal to everyone. It was to build passion and create loyalty among an audience just large enough for the candidate to win. Campaigns and cause-based organizations succeed only by effectively using social media to communicate a political agenda or ideology. But what about a commercial business? Business owners like Penzeys Spices chief executive officer Bill Penzey, Jr., and Hobby Lobby CEO David Green have taken controversial positions on hot-button political issues and have leveraged social media to establish those positions as their differentiator. The social echo chamber brings out and amplifies the voices of legions of people who disagree with their positions and threaten to boycott, as well as others who praise them and promise to support them. In both cases, measurement is demonstrating the success of each strategy. 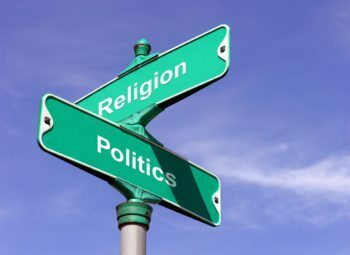 If your potential market is large enough that you can do well with portions of that market being offended or inspired by your discussion of religion or politics, do the research before you begin, and constantly measure while you’re doing it. Strategically breaking that long-held rule can be a key to your success.